It’s the main story I tell myself. But today I choose to reject rejection. I choose to believe that God loves me and that I have a purpose and calling in life. I choose to believe that the people closest to me, the most important people, love and accept me. I choose not to give in to discouragement and the voices in my head that tell me I’m not wanted. Or at least, today I’m choosing to choose those things. Because I don’t have time for that. I’ve got messages to share and people to encourage. I’ve got calling and purpose, and I refuse to be waylaid by the voices in my head. Yes yes yes! What a great reminder as we start a new week. Thank you! Thank you! This week I was trying to explain to the hubs that it wasn’t exactly depression, but that there are voices that tell me I’m worthless. This will help me explain it to him and help us both know I’m not crazy! I’m so glad this gave you words — and no, you’re not crazy! Peace and joy to you, Carole, as we choose together to reject the voices of rejection. “I want everyone to like me, and I can be oversensitive to things.” Did you just get inside my head Anna?? So YESSS, let’s proclaim together that we are dearly loved daughters of the King! When I forget, you can remind me, and when you forget, I can remind you. 🙂 Hugs to you today!! Hold your head high, keep your chin UP, KEEP on KEEPING ON !!. God is still on the throne and HE WILL remember his own. Thank you for your sweet, sweet encouragement (and all the science magazines — I can’t remember if I ever thanked you for the last batch of them!!). And YES, let’s do this thing together!! You (and Jonathan) do a great job of knowing your callings, giftings, and timings, and living in those. I think there’s a connection. 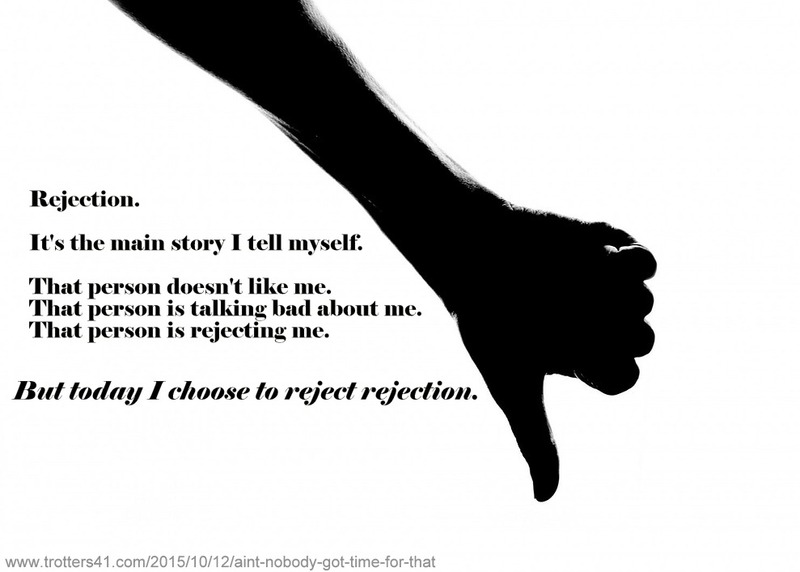 Rejection– living out of rejection, or out of fear of rejection– would keep that from happening. Blessings! Yes I think getting our marching orders from God helps in facing rejection, whether that rejection is real or imagined.